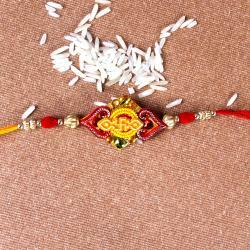 Pearl Rhinestone Beads ang wooden Beads Rakhi along with Packet of Roli Chawal. 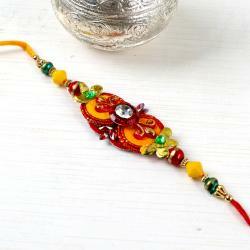 This Rakhi is perfectly symbol of your love and care which you want to give your brother. 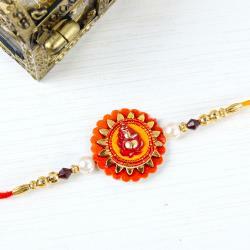 This Rakhi is to say everything to your brother behalf of you. 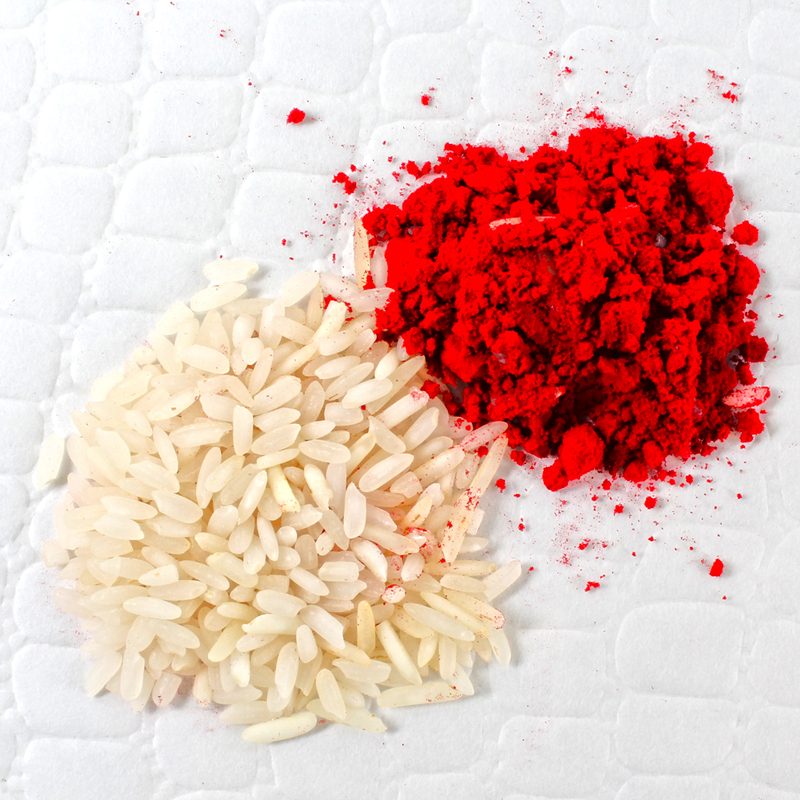 This is unforgettable surprise ever received on occasion of Raksha Bandhan. 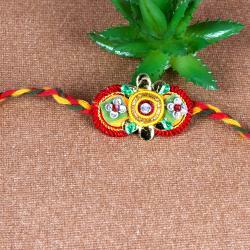 This Rakhi gives very simple and sober looks it is contains wooden Beads with Pearls Rhinestone Bead on woolen thread. 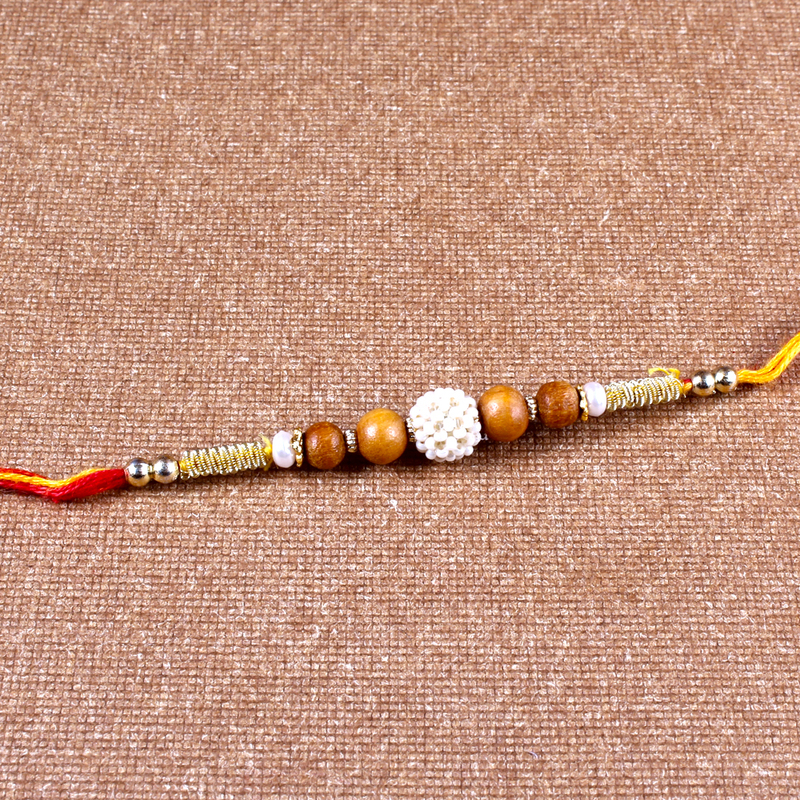 This Rakhi thread gives your love and warmness when it is tie on wrist of yours brother hand Product Includes: Pearl Rhinestone Beads with wooden Beads Rakhi and Packet of Roli Chawal.